Priscilla Namingha Nampeyo (1924-2008) was a Hopi-Tewa potter of the Nampeyo family tradition. 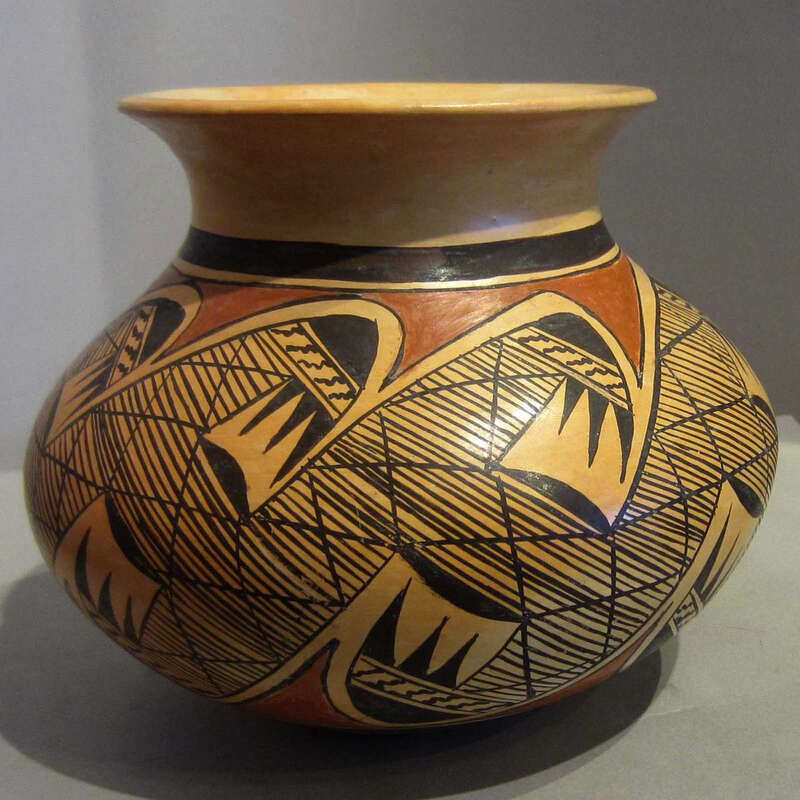 She made pottery beginning from when her great-grandmother, Nampeyo of Hano, started teaching her at seven years old and she continued making pottery almost to the day she died. 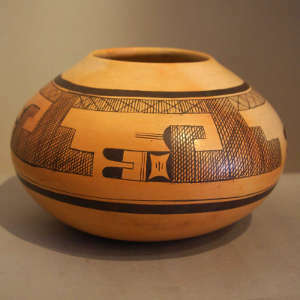 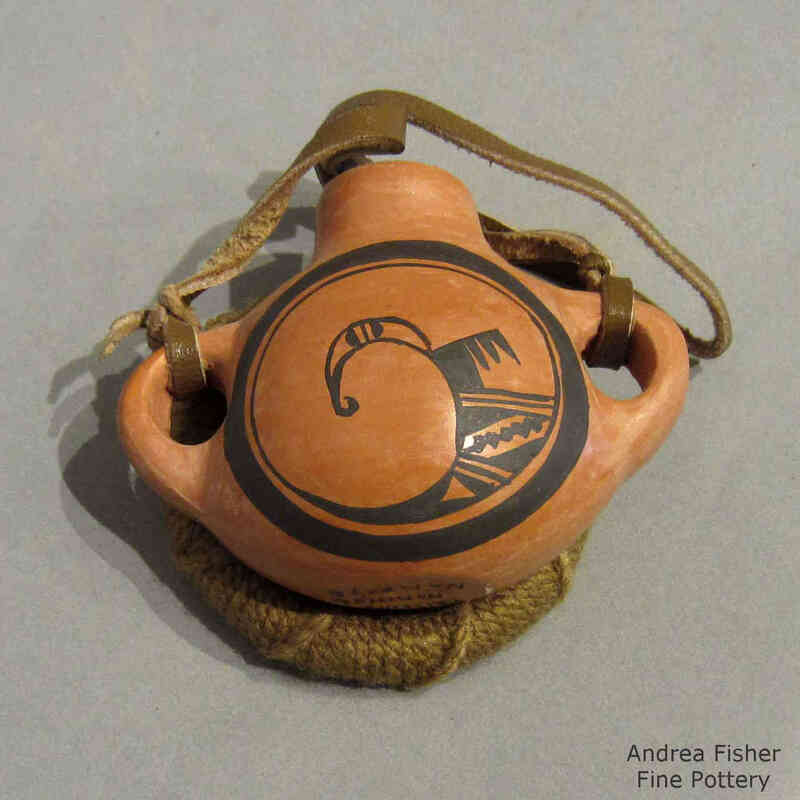 Nampeyo of Hano (1860-1942) is the famous Hopi-Tewa potter who revitalized Hopi pottery by creating a contemporary style inspired by the ancient designs found on pottery shards from the prehistoric pueblo of Sikyatki. 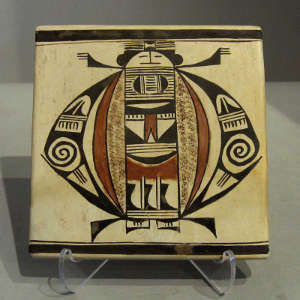 Priscilla is the daughter of Rachel Namingha Nampeyo and Emerson Namingha, granddaughter of Annie Healing Nampeyo and Will Healing. In that respect, Priscilla grew up in the heart of a Hopi pottery dynasty. 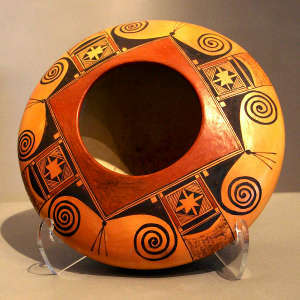 Priscilla's pottery styles include black-and-red-on-yellow jars, bowls, wedding vases, piki bowls and miniatures. 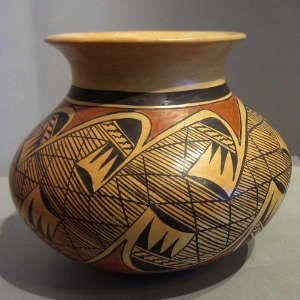 She makes her pottery using the traditional methods she learned from her great-grandmother Nampeyo and she still uses many of Nampeyo's designs. 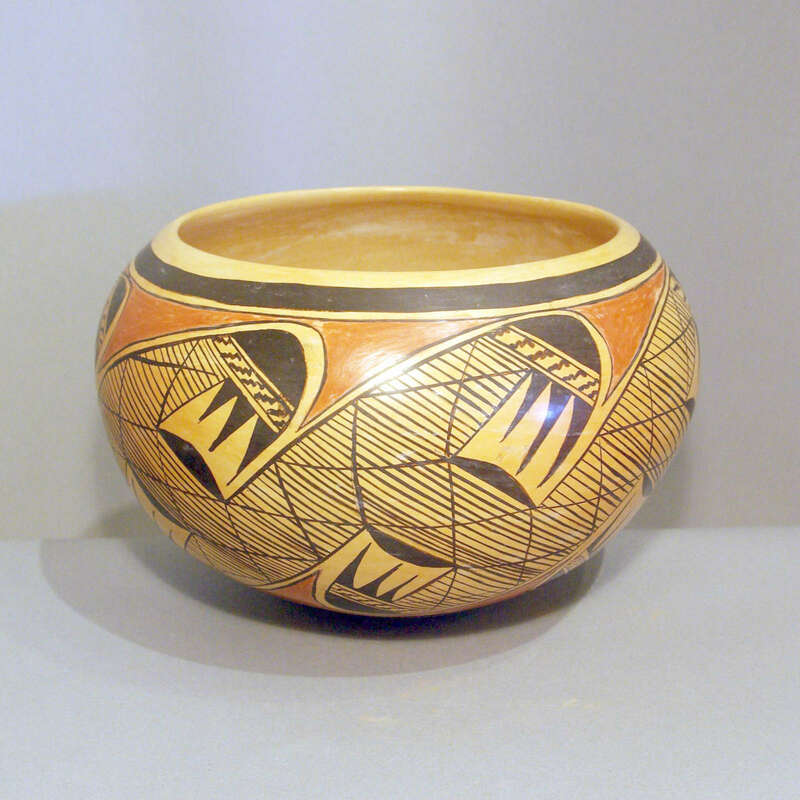 Among her favorite designs are migration pattern, eagle tails, dragonflies, birds, stars, feathers, and clouds. 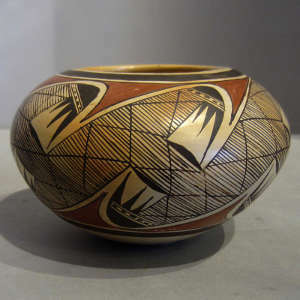 Priscilla passed her knowledge of the art of making traditional pottery to her children and some of those are active today, including: Jean Sahmie, Randall Sahmie, Nyla Sahmie, Rachel Sahmie and Bonnie Chapella Nampeyo. All are award-winning potters in their own right.